The All Progressives Congress has rejected the Independent National Electoral Commission’s decision to resume collation of results in Rivers and Bauchi states without supplementary elections. The governorship and Assembly elections in Rivers State were suspended due to violence. But INEC later said it would allow the collation of results in Tafawa Balewa local government area of Bauchi instead of conducting a fresh election, a resume collation of results in Rivers. But the APC has cried out, saying INEC was ignoring the reality on the ground. It accused the INEC’s National Commissioner in charge of Information, Festus Okoye, and the Resident Electoral Commissioner in Rivers State, Obo Effanga, of conniving with the Peoples Democratic Party to skew election results against the APC. In a statement, the APC National Publicity Secretary, Mallam Lanre Issa-Onilu, complained that the electoral process was suspended in Rivers State in fraudulent circumstances. The statement partly read, “It is on record that Wike, through the Rivers State Resident Electoral Commissioner, Obo Effanga, engaged the PDP card-carrying members as local government area collation officers to skew the election results in favour of Wike and the PDP. The APC accused Wike and the PDP of lying against the security agencies in order to blackmail the Federal Government. On Benue State, the APC accused INEC officials of working with the state government officials to manipulate the elections in favour of Governor Samuel Ortom. “There is no doubt that our candidate obtained the highest number of legitimate votes obtained with the usage of card readers. The ruling party accused the Kano State Commissioner of Police of aiding the PDP to rig inside Kano city. The APC rejected INEC’s decision on the governorship election results from Tafawa Balewa LGA in Bauchi State. On Sokoto State, the APC accused Governor Aminu Tambuwal of using thugs and fake security agents to scare voters in the state. In Adamawa, the party said there was over-voting and use of security personnel to intimidate the APC agents and supporters. 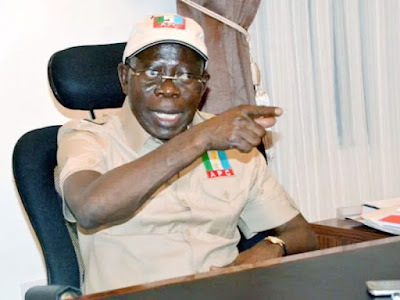 However, the PDP in a statement by its National Publicity Secretary, Mr kola Ologbondiyan, added that the party was undeterred in its imminent victory in the March 23 supplementary elections.